In this success story, we talk to Wendy Kerr, who founded a successful business coaching company, Corporate Crossovers, which helps women leave their traditional 9-5 jobs behind and start their own businesses. Your business has its roots in your own experience of moving from the corporate world to becoming your own boss while in Tokyo. Why did you decide to start out on your own? Moving to Tokyo with my husband, I assumed I would be able to get a job at a similar level to that which I had enjoyed in London. Not only couldn’t I achieve that, I couldn’t get ANY job. Desperate to work, I had an epiphany, where I realised that if no-one was going to give me a job, I would create one for myself! So my decision to become a Corporate Crossover was unplanned and completely unexpected. Though when we returned to London, I made a decision to remain self-employed as I loved coaching so much and the freedom and flexibility that having your own business gives you. Business coaching is a competitive industry to be in. What was it like at the beginning when you relocated to London, and what steps did you take to make your business thrive? Moving back to London, I felt like I was starting my business all over again. I had a limited network, no local clients and I was frustrated that I wasn’t making the money I used to earn when I worked in London previously. So I made a decision. That was to start treating my business like a real business, not an expensive hobby. So I created business objectives, a plan to achieve them, and then most significantly of all, I started tracking my revenue every day versus my target. That single minded focus on the money gave me the impetus to build a network in large corporates, and to go on a drive to present my credentials in an effort to win new business. It worked. My income doubled that year from £40,000 to £80,000. I was so grateful, as that year my husband was made redundant and I became the sole breadwinner for six years. Another key factor in increasing my revenue was finding the right support. To overcome my isolation, I joined a number of networking groups and I also hired a business coach. Not only did she help me be more accountable to myself to get things done, she also helped me believe in my own potential. What obstacles do you feel women, in particular, face when starting a new business? When we leave our jobs to start our own business, we can easily give ourselves a demotion. Women have a tendency to want to do everything themselves, and not ask for help. Often they do this to keep a reign on costs in the first few months, or even years, but this only serves to hamper the growth of their business. When the business owner is doing the low value activities, book-keeping, website updates, diary management, etc, in her business, she is not spending that precious time on high value activities which would grow the business. For example, if she has spent an hour ‘nipping down’ to the Post Office, that hour could have been spent calling prospects, arranging business development meetings, or other activities which will drive growth. She could employ a contractor at £20 p.h to do those admin tasks for her, freeing up her time to create more revenue. What general advice would you give to prospective women entrepreneurs, who are home-based, and bringing up young children? When you work from home, and are the main care giver to young children, it is so easy to have your attention and energy conflicted at any point in time and to feel guilt. I always recommend that you focus on one activity at a time. That is, be a parent with 100% of your attention (no sneaky peeks at email on your phone} and be a business women 100% of the time, no children in your space when you are working. I have tried the other way, a blend, and frankly no-one wins. I would get frustrated at not being able to focus on my work and make calls in a quiet environment, and then feel I was letting the children down, as I wasn’t with them fully. Think about creative ways to manage your child care. For instance, is there another parent who also works from home, that you could share child care with, or even the cost of a nanny? Would you agree that your business will only succeed if you’re passionate about it? Passion is an essential ingredient for business success. When you have that passion for what you are selling and operating your own business, it is infectious. The people that connect with you will feel your passion and be inspired and want some of what you have! Think about the last time you were with someone who was brimming with energy and delight about their project – weren’t they a joy to be around? That’s what passion feels like. The other key benefit of passion is that it will fuel you through all the peaks and troughs of your business, as you will still be committed to achieving your goals. Can you tell us a little about the Accelerator Academy you founded? Starting and then growing a business can be overwhelming, lonely and frustrating at times. It can feel that you are working harder than ever before, yet not seeing the returns. I designed the Accelerator Academy for women at any stage of their business journey. It is a group coaching and mentoring programme designed to give support, structure and knowledge for business owners. Each month, we will focus on one area of a business, it could be goal setting and planning, getting legal, sales, marketing etc. There will be a webinar with loads of content and practical tools and tips you can apply immediately to your business. And then each month will be an open Q&A session, where participants can ask any question about their business. The participants will also get to connect with other like-minded business downers on the forums and live Q&A calls, and this community I know will be very supportive. 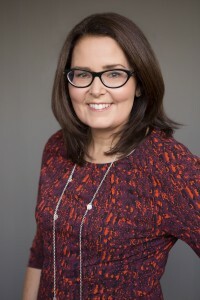 Wendy Kerr is author of My New Business – A busy woman’s guide to start-up success (Pearson). Follow her at @wendy_kerr.